Whether you are looking for a first time home, need to relocate for a job, or simply want something different from what you currently have, house hunting can be a frustrating job. You may know exactly what you want in a new house, but actually finding it at a price you can afford is another thing altogether. The best thing you can do when house hunting is to find a realtor you can trust. A good realtor will listen to your needs and show you houses they feel will best suit you. As you tour houses they should be listening to what you like or don’t like in order to zero in on the perfect home for your family. If there is simply nothing available that suits your needs, you can always consider a pre-fabricated home. These houses come in a variety of floor plans, and you can often customize the details like carpeting, cabinetry, and wall finishes. Once you have decided exactly what features you want, the house is constructed off site and relocated to your property where the final construction takes place. One sure fire way to know you are getting exactly what you want in a house is to have one custom built. (We've done it twice) St. Augustine home builders like Collins Builders will work with you to come up with a floor plan that fits your individual wants and needs. 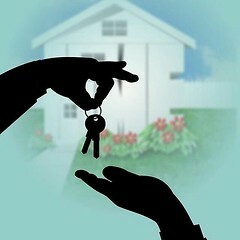 If you can find a reliable realtor that will help you find exactly what you need, you will be all set. Otherwise, move on to the idea of a pre-fab house or a custom built home. These are excellent options when you simply cannot find what you are looking for on the open market. No matter which of these approaches works for you, you will soon be living happily ever after in the house of your dreams. Are You Ready for Some Free AudioBooks?